Moruti Mthalane turned back a game challenge from Japanese challenger Masahiro Sakamoto on New Year’s Ever, stopping him after the tenth round at the Wynn Palace Cotai in Macau to retain the IBF flyweight title. The referee had brought in the doctor the round before to inspect Sakamoto’s swollen right eye, and the decision was made after the round to not allow him out for the eleventh. Mthalane (37-2, 25 knockouts) of Gauteng, South Africa had put his punches together against the larger but slower Sakamoto (13-2, 9 KOs), landing almost at will with right hands and left hooks. Sakamoto appeared in discomfort between rounds as his corner worked frantically to keep his right eye open with the enswell. Mthalane, 36, is in his second reign as IBF flyweight champ and is rated no. 1 by The Ring at 112 pounds. Sakamoto, 27, had won five straight heading into the fight after his lone defeat, a majority decision against Sho Kimura. 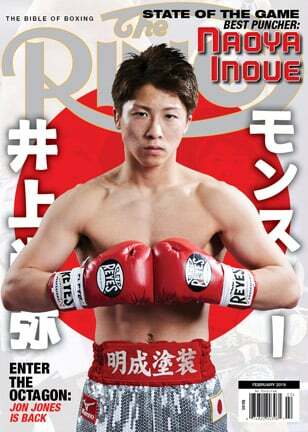 Mthalane will next have to make a mandatory defense against Masayuki Kuroda, also of Japan.